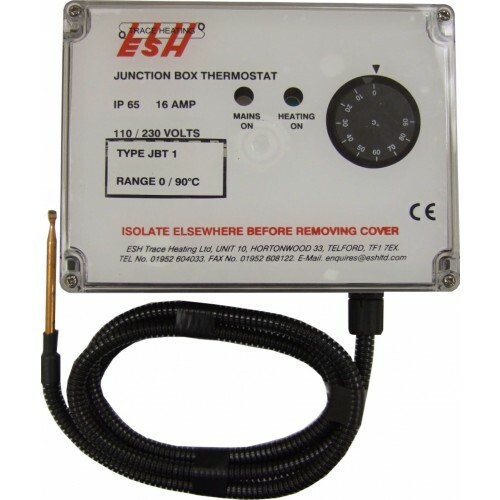 Type JBT thermostats are a range of commercial/industrial junction box thermostats designed for the termination and temperature control of trace heating systems for frost protection and process temperature maintaining of pipework and tanks. 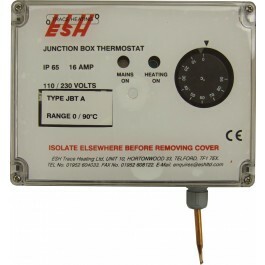 The standard range of JBT Thermostats are supplied in either air sensing mode, utilising a 0°C to 90°C capillary thermostat, or pipe sensing modes, with temperature ranges of 0°C to 90°C or 50°C to 200°C. 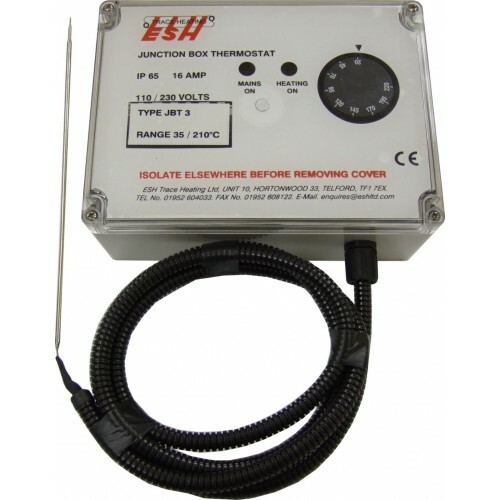 Other temperature ranges can be produced to order. Contact us for details. Type JBT units are fitted with suitable terminals to allow termination of up to three separate trace heating circuits and come with a easily adjustable temperature range dial with set temperature clearly visible. Type JBT thermostats can also be supplied with a volt free relay for 'normally open' and 'normally closed' relay signal from the Power Supply to allow for integration with a building management system (BMS). 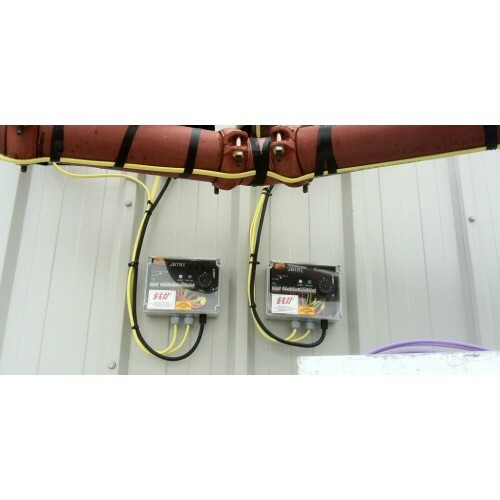 Weather proof enclosure rated IP65, the tough construction of the unit allows for installation in domestic, commercial and industrial (non explosive areas).